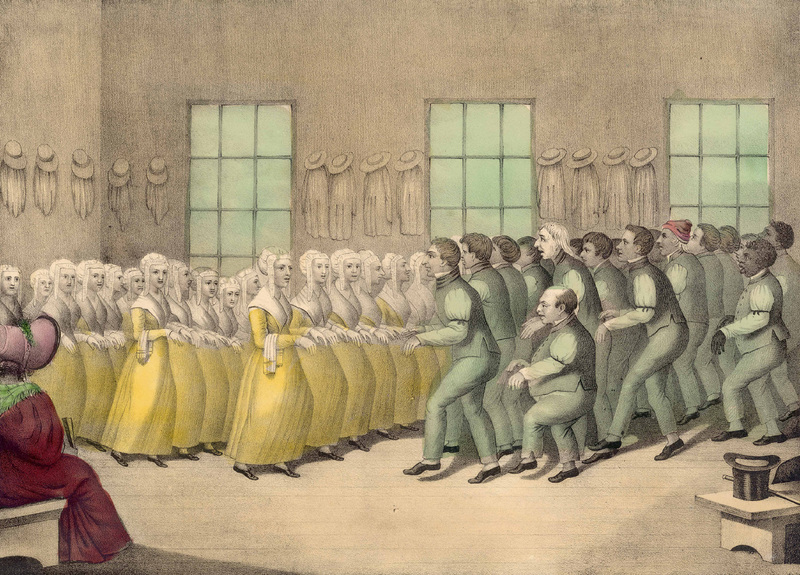 Shakers are recognized in mainstream society for a few key things: clean architectural lines, round barns, oval boxes, and their music – a distinctive art closely tied with their unique form of dance. In comparison to other communal societies who turned to music for diversion, music played a critical role in both the social and religious life of the Shaker. With primarily religious themes, their compositions were used daily in full-body worship in conjunction with traditional dance. In honor of their founder, Shaker spirituals often focus on Mother Ann Lee, celebrating her contributions, her death, and even her birthday. Compositions can be split up into three categories: Songs, hymns, and anthems. These categories differ by form, voicing, and harmony. By the 1870’s, earlier spirituals were adapted with two, three, and four part harmonies. Perhaps the most unusual qualities of Shaker music is their system of notation. While not used by every Shaker, their unique system commonly appears in their hymnals. 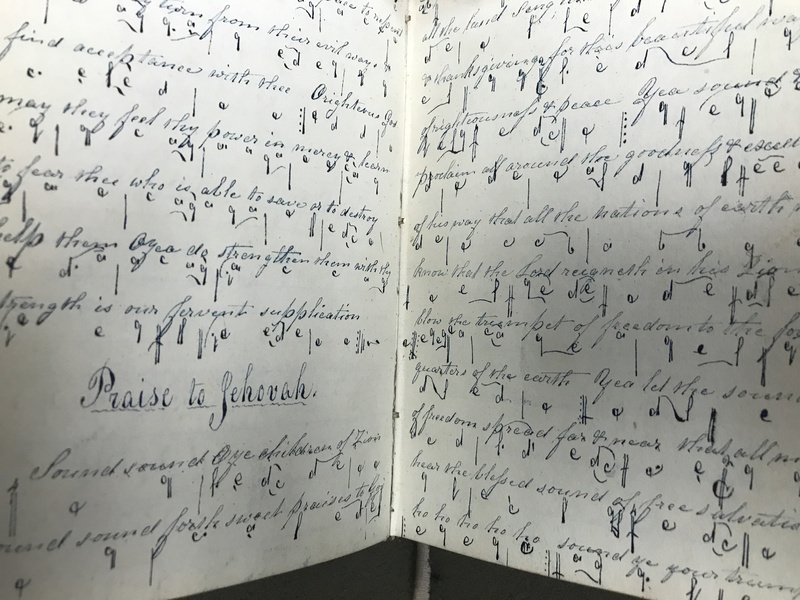 Instead of placing notes on the five-line staff to indicate the required pitch, the shaker system – known as “letteral” – writes out the pitches by letter, and places them either above or below the preceding pitch to indicate direction of the scale (refer to photographs for visual explanation) In conjunction with the stepwise motion of the hymns, the letteral system speaks to a strong accessibility of the music, leading to community-wide participation. In the mid twentieth century, Shaker music infiltrated into mainstream society as composers began looking towards the perceived “simplicity” of traditional American folk songs in attempts to make sense of the world in the wake of the Second World War. 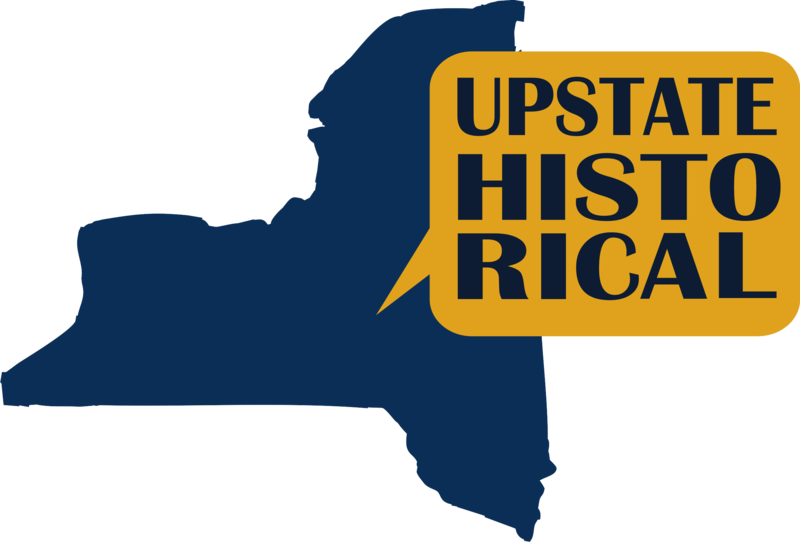 The most notable use of a shaker hymn in modern art music is credited to composer Aaron Copeland, in his ballet and orchestral suite Appalachian Spring (1944). In the work, Copeland features an arrangement of the hymn Simple Gifts, likely composed by Elder Joseph Brackett of the Alfred Shaker Community in 1848. Like other forms of New England psalmody, the power of Shaker spirituals performed by a group does harken back to a sense of unified community and as Aaron Copeland believed, more wholesome times. 110 Darrow Rd, New Lebanon, NY 12125 ~ The second meeting house is now part of the Darrow School. 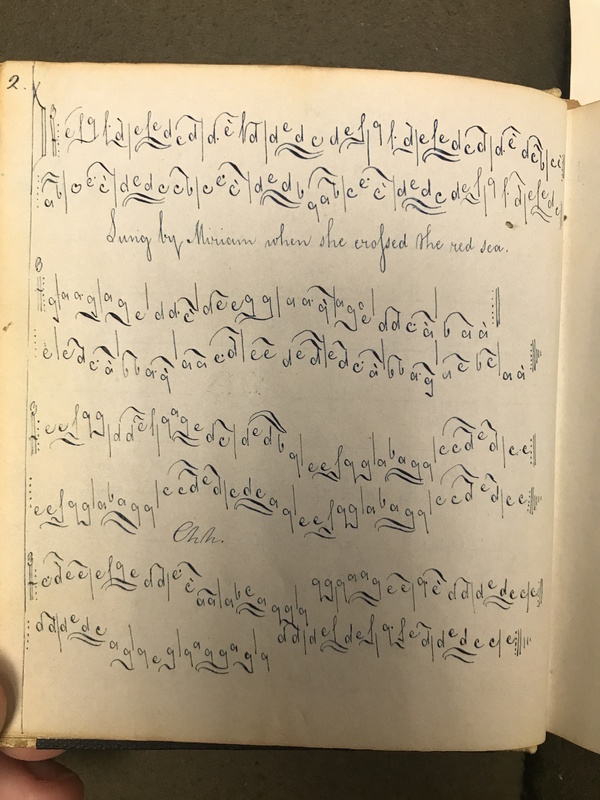 Alexandra Cade, “"With the Songs of Angels Near" : Shaker Spirituals at Mount Lebanon ,” UpstateHistorical, accessed April 18, 2019, http://upstatehistorical.org/items/show/46. Hall, Robert L. A Guide to Shaker Music. Stoughton: Pine Tree Press, 1999. Goodwillie, Christian. Shaker Songs: A Musical Celebration of Peace, Harmony, and Simplicity. Black Dog & Leventhal, 2002.